What Have We Here? | A Consequence of Hypoglycemia. 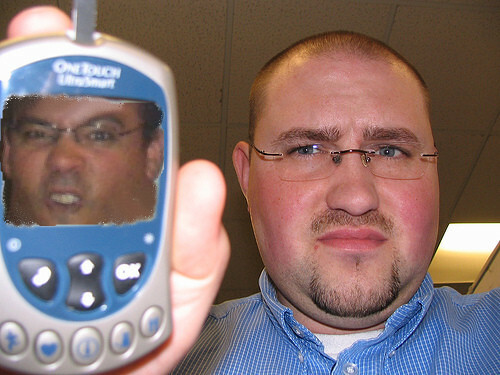 On a whim I decided to search ‘diabetes meter’ on Flickr. This was on the first page of results. Ha! That is a classic! You know who we can credit that to? Mr. Bernard Farrell. He is the artistic genius behind many a shopped pics. That picture of George used to be his Blogger profile picture. Scary! I love this!!! I’ve never seen it. LOL.